The Economic Impact Study Launch panel. Bournemouth University, its staff and students bring more than £1 million a day to the South West region, a new study has revealed. The BU Economic Impact Study 2013 looked at student, staff and university-wide spending and found that BU is worth £378 million to the South West region, and £252 million to the local conurbation. It also revealed that BU supports over 3,145 full-time jobs in the South West – one job for every seven students at the university. The study was produced by BU’s Professor John Fletcher and Dr Yeganeh Morakabati through staff and student surveys, interviews with major suppliers to BU and the university accounts. Professor Fletcher said that BU was part of the “fabric of Dorset”. “Although I am going to talk about numbers, these are lives, these are jobs, these are the people who shop in the shops and drive down the roads,” he said. He added that students and their visiting friends and relatives spent more than £128 million in the area – often at times of year when there is less tourist trade – and that the total combined spending of the university was equivalent to 11,476 households in Dorset. Speaking at the launch of the study, Bournemouth West MP Conor Burns added that BU’s benefit to the community also came in numerous, intangible ways. 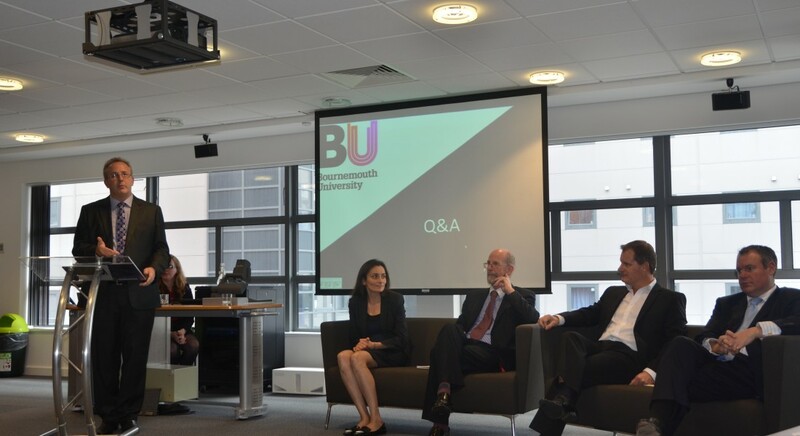 He said: “When I’m asked about the university’s impact on Bournemouth and the region, I have an easy answer. I always say it’s priceless. I now have a number of statistics to hand to give a more informed answer in future. 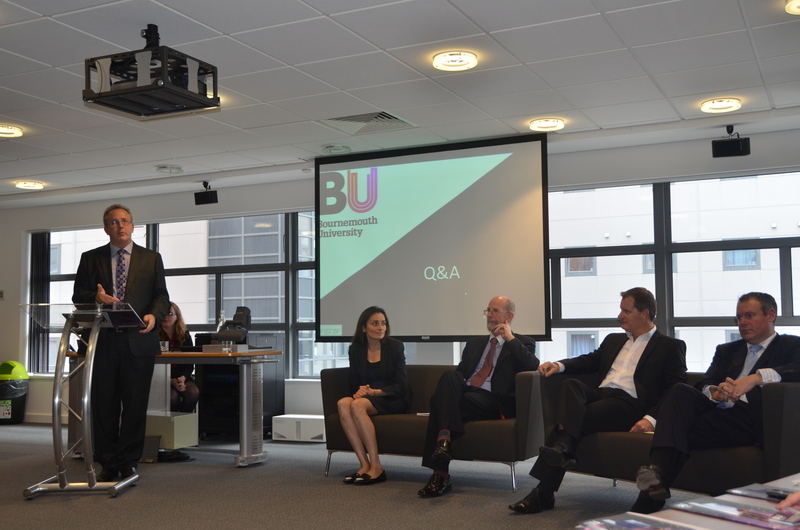 Jonathan Clark, executive chairman of local digital agency Bright Blue Day, also spoke about the value of BU and its graduates. The study found that the 5,879 graduates from BU this year will create an extra £1.3 billion in additional earning potential, but Jonathan added that they are also great advocates for the university and the area. “People who leave and are in the early or later parts of their career are fantastic supporters of BU,” said Jonathan, whose agency has employed a number of BU graduates. A similar Economic Impact Study in 2007 found that the total amount spent by BU contributed £241 million to the South West’s regional economic output – a figure that has now grown considerably. BU Vice-Chancellor Professor John Vinney said: “BU has changed in that time, and our reputation has continued to grow. Read the Economic Impact Study 2013 in full.